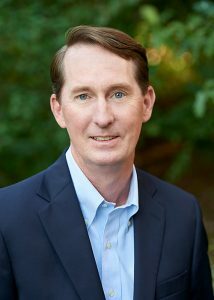 Rob is a co-founder of Birch Hill and has more than 24 years of experience in the financial services industry. His experience includes providing portfolio management, security analysis, and financial advice to individuals and charitable groups. Prior to Birch Hill, Rob was a Managing Director at Seaward Management and a Vice President and Investment Counselor at Eaton Vance Management. In addition, Rob held positions at Standish, Ayer & Wood and Investors Bank and Trust Company. Rob has a BS from Bentley College and an MBA from the F.W. Olin Graduate School of Business at Babson College. He is a Chartered Financial Analyst and a member of the CFA Society Boston and the CFA Institute. Rob serves on the Board of Directors and the Investment Committee of the Louisa May Alcott Memorial Association. He is a Corporator for Emerson Hospital and a member of the Investment Committee for The Foundation for MetroWest. A: I have or share responsibility for portfolio management, client service, research, and business development. I’m also Treasurer and responsible for Human Resources. A: The level of service we provide to our clients. We truly care about them and helping them reach their goals. A: Helping clients work through problems. A: With my Family. In the past, that involved coaching youth sports, but currently, I’m more of a spectator. I also enjoy playing golf, tennis, and paddle tennis. And I serve on several non-profit boards and committees. A: I’d possibly be coaching a high school lacrosse team. In some ways my role at Birch Hill has attributes that are similar to coaching.